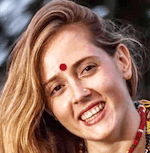 Sarah-Jane Saltmarsh is a strategic communications specialist with BRAC in Bangladesh, passionate on telling the stories of the organisation that New York Times columnist Nick Kristof terms as the world’s best kept secret. Prior to joining BRAC, her background was in sports marketing and local government, then focused for a number of years on business development in remote Australian Aboriginal communities. For the last five years, she has worked in Asia, primarily in the ready-made garment and skills development sectors with the International Labour Organisation, including managing the ILO’s response to the Rana Plaza collapse in Bangladesh. Sarah-Jane is a freelance adventure writer and activist and holds a bachelor’s degree in communications (business) from Bond University, Australia. Women are relatively new entrants to the formal workforce in Bangladesh, and most are the first in their families to have a job. As the trend of greater female employment spreads across the country, women are increasingly taking up leadership positions as well, which has tremendous implications for the country’s workforce. BRAC discusses these changes, and its efforts to support them through skills training.